Although a tiny pest look small, it can leave a huge negative impact in your business. Taming the infestation of insect pests inside your organization can cripple the reputation of your business. There are some pests which reproduce very quickly and wreak havoc in your business property. Prevention is the only key to get shot of nasty crawlies. There are several entry points open for the pests which can easily get inside your organization without your notice. In no time, the malicious pests will start breeding in your commercial space, leaving a huge destruction behind. In such cases, it is best to get your commercial zone thoroughly checked from the acclaimed pest control provider who is an expert in presenting top-notch commercial property pest control services to its clients. Do not let the notorious insect pests eat away your hard-earned profits. If you find out pests moving around your commercial zone, then you must contact the pest control provider immediately to provide the appropriate pest treatments in your commercial location. The efficient pest guys will look out for every possible breeding site to root out pests instantly. By having regular scheduled pest services, you will be able to keep pests far away from your commercial surroundings. 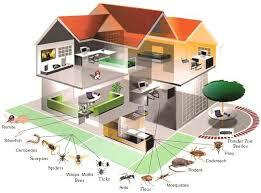 The pest management program given by the pest agency will surely be benefited for all of you. The trained pest inspectors will make use of specialized commercial pest inspection method to give its customers unparalleled results. The detailed on-site inspection carried out by the experienced pest inspectors will block the passage of all types of pests on a permanent basis, so that your commercial premise has no infestation of pests. Let the non-toxic pest products minimize the risk of pest attacks in your commercial space.